If you know a kid who needs more comics, heads up! The Smithsonian Institution is set to launch the Secret Smithsonian Adventures, an educational graphic novel series aimed at middle grades readers. Series installments will tie into exhibits from the iconic institution's collection of 19 museums, galleries, and zoos. The first volume of Secret Smithsonian Adventures, The Wrong Wrights , focuses on the history of aviation. 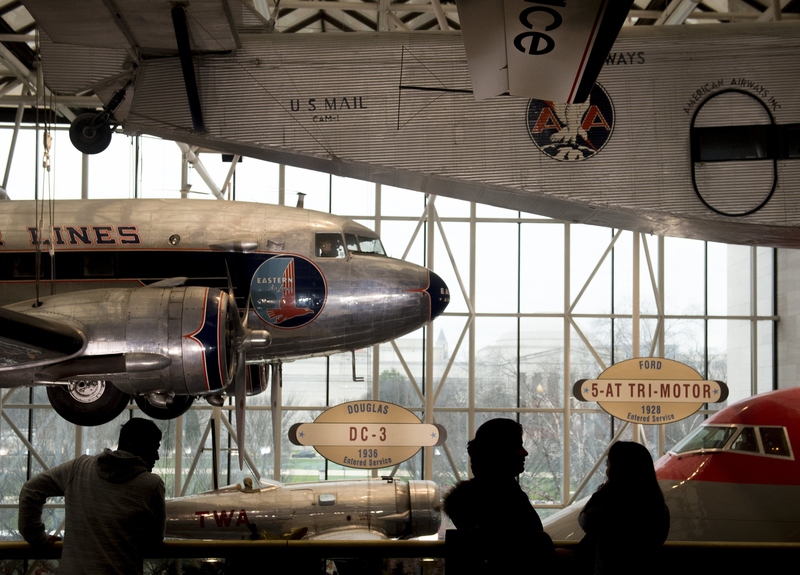 Four kids — Eric, Dominique, Josephine, and Ajay — visit the Smithsonian's National Air and Space Museum on a field trip, only to find that the planes, jets, and spacecraft are all missing, as if they never even existed. With help from an exhibit fabrications specialist and a talking computer named Smitty, the kids travel through time to restore the Wright Brothers and other famous aviators to their rightful place in history. There's no word yet on which exhibits future installments will cover, nor is there a publishing timeline for Secret Smithsonian Adventures. However, the Smithsonian has hundreds of exhibits, any number of which would make excellent exploration opportunities for the series' child heroes. Take, for example, Ua Mau Ke Ea: The Sovereign Hawaiian Nation , a new exhibit at the American Indian Museum that traces the islands' history from King Kamehameha I's unification in 1810, to annexation in 1893, statehood in 1956, and modern-day Hawaiian nationalist movements. Or how about the Portrait Gallery's soon-to-be-gone Four Female Supreme Court Justices ? It's a life-size painting of Sandra Day O'Connor, Ruth Bader Ginsberg, Sonia Sotomayor, and Elena Kagan, and would offer kids the chance to explore the lives and relationships of these four game-changing women. Of course, the Smithsonian's permanent exhibits shouldn't be overlooked. The Struggle for Justice , another Portrait Gallery installation, features civil rights leaders from the 19th century to the present, including Elizabeth Cady Stanton, Martin Luther King, Jr., Leonard Crow Dog, and Eunice Kennedy Shriver, among others. At the Postal Museum, the Secret Smithsonian Adventures kids could dive into the myths and facts of the Wild West's famous mail service in Pony Express: Romance vs. Reality . There's no limit to what the Smithsonian Institute can do with its new graphic novel series, which means these educational adventures might be around for a while, provided that interest remains high. You can preorder The Wrong Wrights today, or pick it up when it launches on February 23.